In order to make large-format 3D printing easier for industrial FFF 3D printer users, Maltese R&D startup Thought3D, the maker of Magigoo 3D printing adhesive, and Berlin-based BigRep GmbH are working together to launch a first-layer adhesive for large-scale build area 3D printers. The goal of the new partnership is to increase maintenance convenience and print reliability for industrial FFF 3D printers. As one of the world’s leading providers of large-format 3D printers, BigRep knows a little something about affordable large-scale 3D printing, and companies in many industries around the world, such as automotive, construction, architecture, furniture and design, use its BigRep ONE and BigRep STUDIO 3D printers for small-scale production and prototyping purposes. The technology startup, which also has locations in Boston, New York and Singapore, wants to revolutionize design, industrial production, and prototyping, and is concentrating on offering its industrial customers complete solutions through its integrated 3D printing systems. As the number of new 3D printing adopters, who require novel materials, continues to increase, companies like BigRep are challenged to provide hardware that is able to offer consistently high-quality results with each material, as they all need different printing conditions. 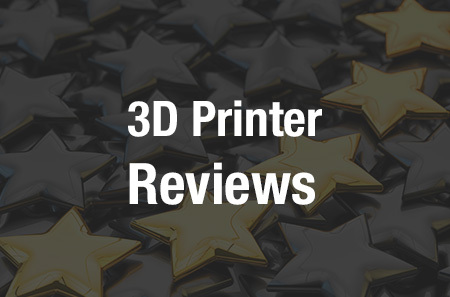 So it is increasingly important to provide customers with reliable 3D printing solutions that offer flexibility in printing with any material, without having to change up the hardware on a regular basis. That’s where Magigoo comes in. “BigRep customers expect high-quality end products. Magigoo is a reliable product that helps our dependable workhorse printers to achieve great large-scale results,” said BigRep CTO Moshe Aknin. Magigoo smart adhesive, which was re-branded in 2016 and re-designed with a new flexible container and foam applicator just a few months ago, was invented for the specific purpose of helping filament stick to heated 3D printing beds. The adhesive was designed to stick when the print bed is hot, but release once it cools off, which increases throughput and reliability. Magigoo is compatible with both PLA and ABS plastics, though Thought3D is working to release versions of the smart adhesive for PA, PC, and PP materials soon, and the company produces and sells Magigoo around the world through its network of industry partners and resellers. 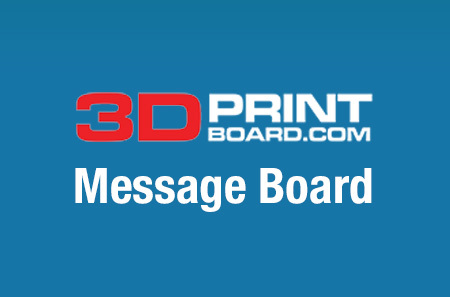 Thought3D’s goal is to provide 3D printer users with a quality experience by solving the adhesion problem with engineering plastics, and the solvent-free, environmentally friendly formula makes the adhesive safe to use, not to mention easier to ship. As part of its new partnership with Big Rep, Thought3D developed a new, bigger bottle of Magigoo, which will work well with large-format 3D printers like the BigRep ONE, as it makes it faster and easier to apply the adhesive over a large print area. BigRep already had the chance to test out the larger bottle of Magigoo when it was 3D printing a cross-section of its creative team’s bionic propeller design on the ONE. The propeller, with its sharp details and overhangs, could have easily detached from the print bed, and as the model had a small area of contact, BigRep was dealing with some rather difficult geometry. But, no need to fear – the company had Magigoo on its side to help with the 3D printing process, and successfully fabricated several cross-sections of the propeller model for prototyping purposes.